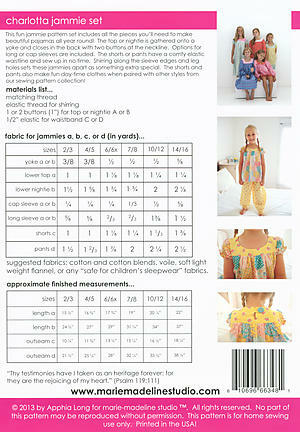 This fun jammie pattern set includes all the pieces you’ll need to make beautiful pajamas all year round! 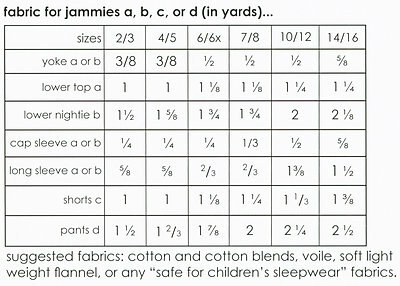 The top or nightie is gathered onto a yoke and closes in the back with one or two buttons at the neckline. Options for long or cap sleeves are included. The shorts or pants have a comfy elastic waistline and whip up in no time! Shirring along the sleeve edges and leg holes sets these jammies apart as something extra special.